See Rock City and Other Destinations comes to Santa Monica for a limited run Feb. 23 – March 24 at Santa Monica Little Theatre. The heartfelt musical roadtrip around the U.S. is made up of short vignettes that attempt to answer the questions of what we seek and what holds us back from realizing the things we want. Told through story songs, the production feels akin to a particularly good episode of This American Life on NPR and illuminates some of life’s tougher questions by refusing to answer them directly. It features book by Adam Mathias and music by Brad Alexander. Alexander, who describes the core takeaway of the show as “moving past your expectations in order to connect,” has also been involved in the Los Angeles production as a resource for the cast and creative. Truly a show for anyone who ever wondered if they were on the right path, its universality is part of what makes it so genuine. Performances take place at Santa Monica Little Theatre, 12420 Santa Monica Blvd., CA 90024 (Between Carmelina and Centinela). 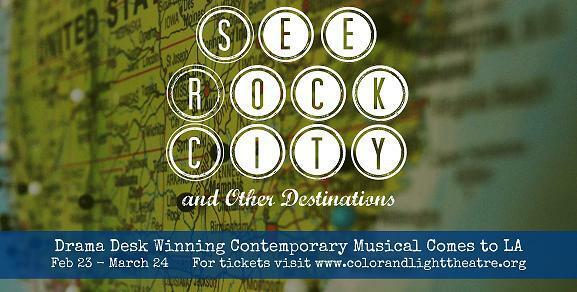 For tickets and information visit www.colorandlighttheatre.org. The Road Theatre Company presents a workshop production of The Baby Project Feb. 22 – March 17 as part of their Access Road Series. The new musical features a book by Lori Jaroslow, music by Fonda Feingold and Noriko Olling, lyrics by Fonda Feingold and Lori Jaroslow, additional music by Noriko Olling and Lori Jaroslow with additional material by Michael Schiralli, choreography by Jodie Patterson and is directed by Shannon MacMillan. Performances will take place at the Road Theatre Company’s new second home, the Road Theatre at the NoHo Senior Arts Colony, 10747 Magnolia Blvd. in North Hollywood. The musical comedy, which began as a solo piece by Jaroslow, portrays a single, bisexual, 40-something New Yorker who heads westward to Los Angeles to plant new roots and finally build a family of her own. While navigating the world of medically-assisted fertility she quickly learns that family can come to you in the most unconventional of ways. The cast features Jillian Easton, Ann Hu, Kasi Jones, Susan Boyd Joyce and Lani Shipman. For tickets, please call (866) 506-1248 or visit www.RoadTheatre.org. 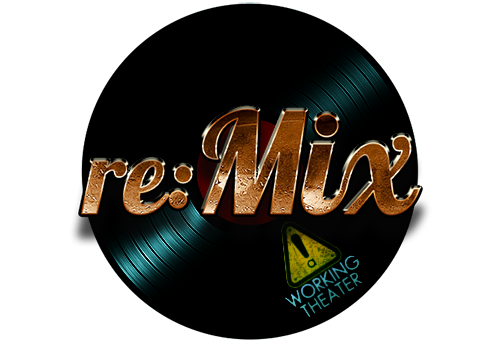 A Working Theater brings you the next in its re:Mix series: Love Sick and Lovin’ It for Valentine’s weekend. Whether you want to shower that special someone with affection or commiserate on how stupid the hallmark holiday is, this re:Mix is the time and place. The show features choreography integrated with projection, inspired by great paintings of love, with performances from Emma Harris, Heidi Buehler, Michael Quiett, Emily Yetter, Orlando Agawin, Kirby Harrel, Madeline Harris, Noelle Andressen and The Showoff Dolls. Also included will be a prize raffle (included w/ the price of ticket), brand new short films from a Working Theater, DJay Ross’s freshest funk, re:Mixed visual art from the Downtown Los Angeles community, candy, poker, beverages, and the ability to destroy past loves in effigy. Love Sick will take place Feb. 16, 9:00 pm - 2:00 am. 546 S Los Angeles Street, 6th floor, Los Angeles, CA. Click Here for tickets. Sutton Foster and Andrew Rannells will perform for the first time in the 29th Annual Southland Theatre Artists Goodwill Event (S.T.A.G.E.) Broadway, My Way, being held on Saturday, April 6th at the historic Saban Theatre in Beverly Hills. 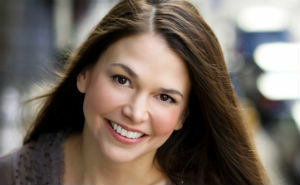 Foster is a Broadway veteran who received the Tony Award for Anything Goes and Thoroughly Modern Millie. She also originated roles in Little Women, The Drowsy Chaperone, and Young Frankenstein, and currently stars in the ABC Family series Bunheads. Rannells received a Tony nomination for his starring role in The Book of Mormon, and has also appeared on Broadway in Hairspray and Jersey Boys. He currently stars in the Golden Globe®-winning HBO comedy series Girls and in NBC's hit comedy series The New Normal. Additional Broadway stars scheduled to appear in the concert that raises critical funds for AIDS Project Los Angeles (APLA) include Patrick Cassidy, Carole Cooke, Karen Culliver, Tyne Daly, Davis Gaines, Florence Henderson, Shirley Jones, Jane Lanier, Vickie Lewis, Kimberly Locke, Tom Lowe, Pat Marshall, Patrician Morison, Janis Paige, Madison Claire Parks, Valarie Pettiford, Andrew Samonsky, James Snyder, Bruce Vilanch, and Joanne Worley. For tickets, visit www.stagela.com or www.apla.org/stage.